Are Pride Events Becoming Smoke-Free? June is LGBT Pride Month! An opportunity to celebrate who we are and to engage in equality on all fronts. For years, health promotion in LGBT communities has been focused on HIV and STD control and prevention. However, health campaigns are expanding towards a broader, wellness-oriented approach that moves beyond our sexual health to face issues like cancer and mental health. And tobacco seems to be on the forefront as Pride events increasingly incorporate tobacco control and prevention strategies to reduce the burden of smoking at the local level. We have been scanning the web for awesome examples of what is happening this year during LGBT Pride events for tobacco control and prevention. We are ecstatic with the rocking results!! All over the country, Pride events in Houston (Texas), San Francisco and Santa Cruz (California), Reading and Lancaster (Pennsylvania) are smoke-free. Yup, no smoking allowed!! Organizers for Pride St. Charles in Missouri selected a smoke-free venue for the event, while Twin Cities (Minnesota), Seattle (Washington), and Phoenix (Arizona) Prides established smoke-free areas and activities to protect children, youth, and families from the dangers of secondhand smoke. 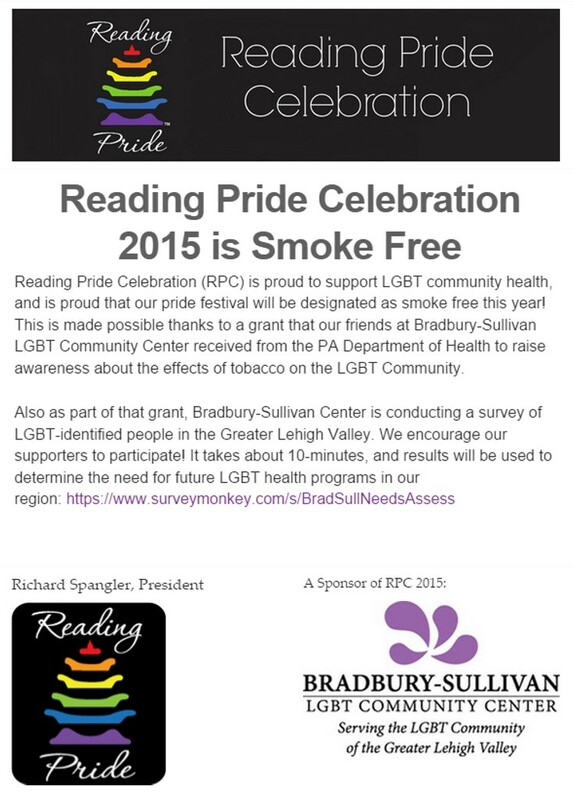 Reading Pride celebration becomes smoke free in 2015. Recognition of Pride month in your local community is a step to build trust and collaboration with government agencies and other institutions. The Vermont Department of Health and the Tobacco Free Colorado coalition adapted their logos with rainbow colors in support of LGBT communities, while the Ohio Tobacco Quitline was a main sponsor for the Columbus Pride event. In Boise (Idaho), Wilton Manors (Florida), Raleigh (North Carolina), and many other jurisdictions, Departments of Health, coalitions, and community-based organizations staffed booths to distribute educational materials on the dangers of smoking, secondhand smoke, the Quitline number, and cancer prevention. 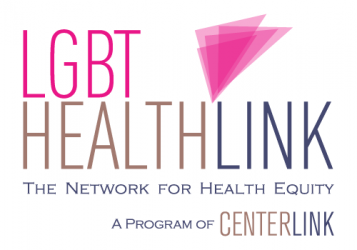 LGBT HealthLink honors years of work from committed LGBT advocates and DOH allies at the state and local level that make this a reality. We want to hear what is happening at the local level in your community. Share with us via social media or send to juancarlos@lgtbcenters.org photos from Pride, websites announcing smoke-free events, and any other strategy that allows LGBT communities to reduce tobacco consumption. Friend LGBT HealthLink in Facebook for more! Here are some examples! 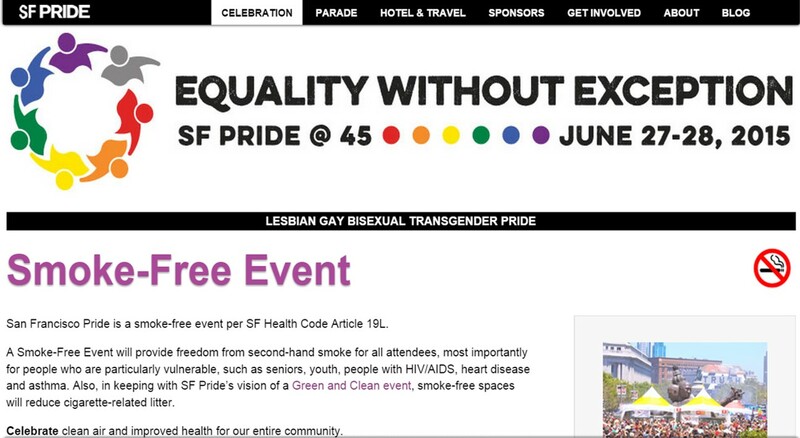 San Francisco Pride website reminds attendees that the event is smoke-free to protect our communities and reduce cigarette-related litter.